﻿ B&B Sweet Sleep, Naples | FROM $41 - SAVE ON AGODA! "Good location if you are arriving from the Main Central trai..."
Have a question for B&B Sweet Sleep? "The variety and freshness and the love could be tasted in the food." "The location is excellent - 2 minutes walking from main train station and from the bus stop to the airport." "This room was amazing, great storage, bathroom spacious, exc..."
Well-placed in the sightseeing, business area of Naples city, B&B Sweet Sleep provides a most conducive spot for you to take a break from your busy days. Only 1 km from the city center, the hotel's strategic location ensures that guests can quickly and easily reach many local points of interest. With the city's main attractions such as Cioccolateria Dolci Sapori, Statua Di Garibaldi, Basilica di San Pietro ad Aram within close reach, visitors to the hotel will just love its location. At B&B Sweet Sleep, every effort is made to make guests feel comfortable. To do so, the hotel provides the best in services and amenities. A selection of top-class facilities such as free Wi-Fi in all rooms, Wi-Fi in public areas, family room, laundry service, coffee shop can be enjoyed at the hotel. All guest accommodations feature thoughtful amenities to ensure an unparalleled sense of comfort. Besides, the hotel's host of recreational offerings ensures you have plenty to do during your stay. 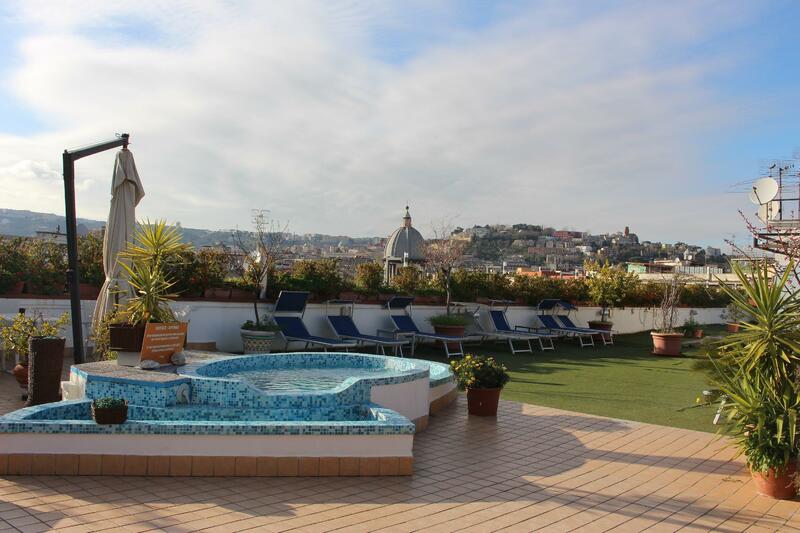 Superb facilities and an excellent location make the B&B Sweet Sleep the perfect base from which to enjoy your stay in Naples. "The terrace on 6th floor is like an oasis from the hustle an..."
We recently stayed Sept 2018. All the staff were amazing. The location is only 700m from the train station. The terrace on 6th floor is like an oasis from the hustle and bustle on the streets just outside. The plunge pool is a dipping your feet option however, does the job when sunbaking, plenty of sun beds. The room we booked unfortunately the aircon was broken and the shower screen also broken (5th floor). 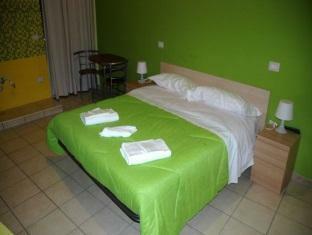 However, the staff kindly obliged to move us the next day to another room (2nd Floor, Frieda Room). This room was amazing, great storage, bathroom spacious, excellent hair dryer. Internet fantastic, USB ports in the wall next to bed. Bed very comfortable. Breakfast was included for us - so delicious, the best we’ve ever eaten on any holiday. The variety and freshness and the love could be tasted in the food. Gabriele cooked from her heart. We only ate the dinner meals - so scrumptous you must eat her food. Bilge (manager) was so friendly and efficient. We loved it all. Good location if you are arriving from the Main Central train station. Good breakfast and service but I didn't like the fact that you have to pay 10 cents euro every time you use the elevator going down and going up. The location is excellent - 2 minutes walking from main train station and from the bus stop to the airport. Also, it's close to many restaurants and shops. The breakfast is good. The hotel is in the 6th floor of an old building, you need 10 cents to make the elevator work. The downside of this B&B is the noise - The walls are paper thin and you can hear anything going on outside. Basically, it's a good value for money option if you don't mind the noise. we had the room upstairs with our own private balcony which was great. the area can be a little intimidating at night but nice and close to the train if you want to catch it to pompeii or to another city. don't forget to keep some 10c for the lift otherwise it's a lot of stairs!! Jó elhelyezkedésű hotel. Tágas, kényelmes szobák. Remek választékú reggeli a napfényes tetõteraszon.